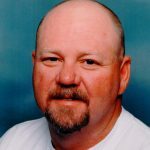 Kenneth Bruce Holder, 59, of Granbury, passed away Friday, August 17, 2018. Visitation: Monday and Tuesday, August 20 and 21, 2018 at Biggers Funeral Home, until 8:00 p.m.
Service: 10:30 a.m. Thursday, August 23, 2018, at Bokchito Cemetery, Bokchito Oklahoma, presided by lifetime family friend, Reverend Glen Latimer. Kenny, we are taking you to rest in the rural country you loved and stayed at so many times; close to Mama and Daddy Holder. Kenny was born June 21, 1959, in Fort Worth, and graduated from Boswell High School in 1977. He lived all of his life in Fort Worth and Granbury. Kenny was the Safety Representative for Metro West Oncor Transmission and previously employed at TXU Electricity delivery. He was a devoted, loyal, faithful and an honest man of integrity at work and with his family, coworkers and friends. He was a loving and caring man and would do anything for his family and friends. Kenny’s dream was to retire in a few years and have a small homestead in the country where his family could join him. His presence on earth will be missed but, we know that he is in heaven, free of pain and the burdens of life. Kenny was preceded in death by Amanda, his special niece; grandparents, Grandpa and Grandma Webb; Mama and Daddy Holder; uncles, Bobby, William M., Mike, John and William I.; aunts, Judy and Shirley. Survivors: Kenny is survived by his daughter, Jessica Huff; parents, Verlin and Barbara Holder; sister, Shelli; brother, Kevin; numerous aunts, uncles, cousins; lifelong friends, Tracy, Marty, Brent and Mark; and his special friends from Oncor. He loved you all. Visitation will be Monday and Tuesday, 8:30 a.m. until 8:00 p.m. Sorry to hear of the loss of Kenny. A childhood friend and neighbor from Blue Mound. My sincere sympathy goes out to his family. My prayers to Kenny’s family. I worked at Oncor with Kenny and am proud to have worked with him. I interacted with Kenny when he was at Glen Rose Transmission and worked in Oncor Transmission Construction Mgmt with him. I last spoke with Kenny in Colorado City at the major storm job in June and he was the same as I always knew him. He was a good man and a great colleague to work with. His legacy with Oncor is he was known to most and respected by all!! Sincere condolences to the Holder Family and my thoughts and prayers are with you. Kenny had a big heart and was a good friend to me. He will be truly missed.